– Medical costs are the leading cause of bankruptcy in the U.S., according to crowdsourcing.org. So how do you help family and friends struggling with sometimes overwhelming expenses? For many, crowdsourcing websites are becoming an empowering source of financial support, with estimates that more than $ 2.8 billion will be raised by such sites this year. Listen – Simply lending an ear can mean the world. Let them express their feelings, even if those feelings are difficult to hear. Often we’re tempted to say, “You’ll be fine.” Rather, give heed to their expressions of fear, anger and doubt without offering advice. Just being there provides more comfort than words. Do your homework – Learn about your loved one’s diagnosis and treatment options. Seek out recommendations and information from reputable websites, medical professionals, health organizations and support groups. 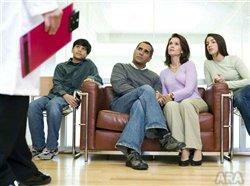 Take notes at doctor appointments and ask questions in order to be the best advocate for your friend or relative. The more you know, the better equipped you’ll both be to help make major medical decisions. Ease the financial burden – The power to help is only a few clicks away. Online crowdsourcing sites provide free, easy-to-use platforms from which anyone can create a fundraising webpage. GiveForward focuses on medical fundraising, offering tutorials, free resources and one-on-one assistance to help hold a successful fundraiser and lighten your loved ones’ financial load. Lend a helping a hand – It’s never easy to ask for help, even during trying times. Be assertive in offering to assist with household tasks like cooking and cleaning. Organize schedules with friends and neighbors to help with daily tasks like running errands and walking the dog. Laughter is the best medicine – Bring humor to your loved ones’ lives. It’s crucial to be sensitive to their need to grieve, but it’s also important to give them something to smile about. Tell jokes, plan a comedy movie night and talk about good times shared together.